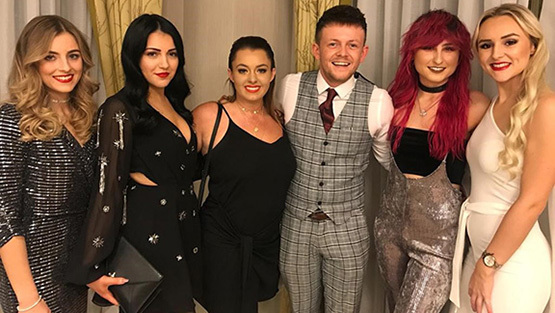 77 The Hill hair salon have a night out for Christmas 2018! 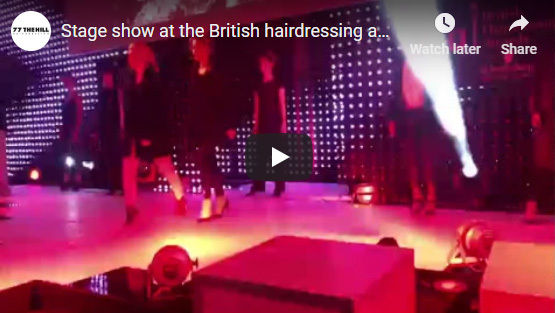 A night out and other news! As many of you know already, we have welcomed a new staff member into the salon. Richard has been with us for a couple of weeks now and it already feels like he’s been here for ages! He has had quite a few bookings and is getting busier and busier with the run-up to Christmas. 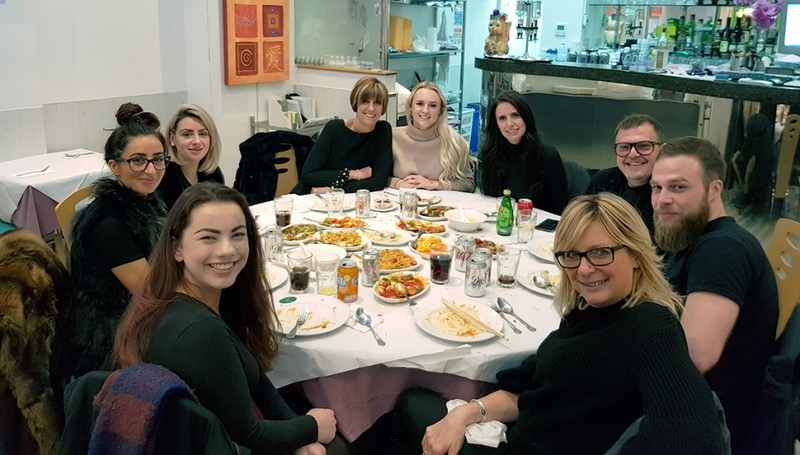 This week we celebrated his arrival with an evening out – a sort of pre-Christmas work do. A good time was had by all, as you can see from the photos! An evening out is great for team bonding. It gives everyone a chance to let their hair down a bit and not talk about work – although we often do end up talking about that very subject. Reflecting on the past year, we have looked at our successes and importantly, where we could do better. 2019 promises to be bigger and better than before, with lots planned for the whole team. We have to keep moving and progressing, which sometimes, can be challenging. Change is inevitable if we are to improve and we are looking forward to our projects for the coming year. 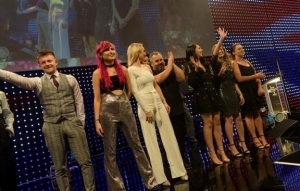 Hannah has had a fantastic year with Schwarzkopf YAT, which will end in January. 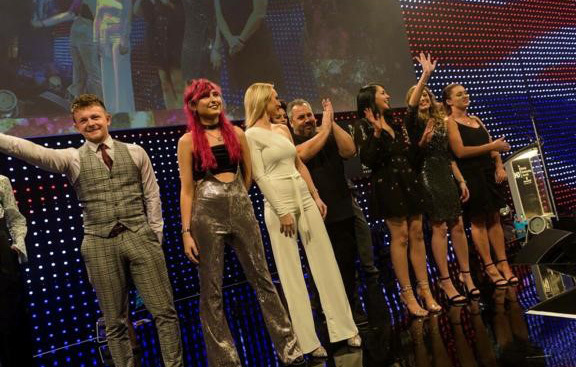 Her experience has taught her a lot about the hairdressing world as she continues to blossom and grow. 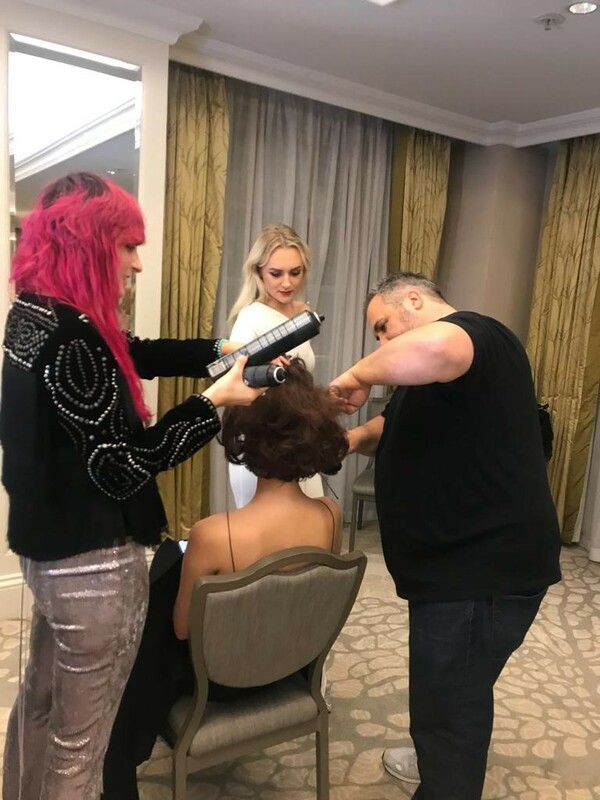 There are some photos of Hannah, doing hair with Tyler Johnston, a big name form Schwarzkopf – for the national hairdressing awards. 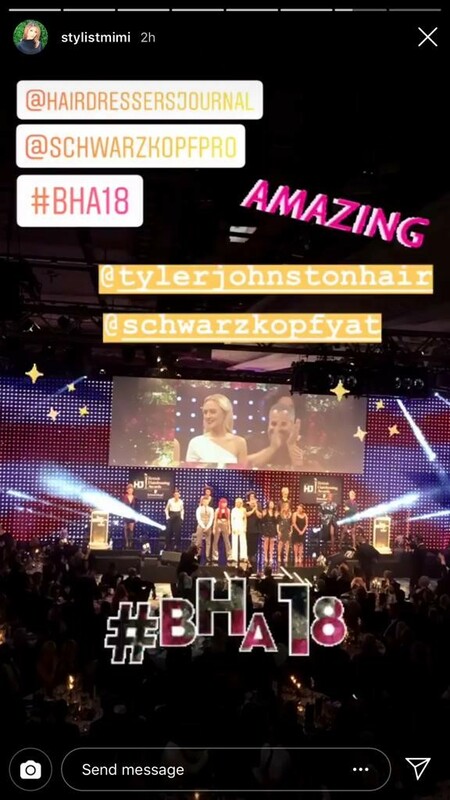 Hannah had to do models for a catwalk show and assist Tyler during the event. Invaluable experience for her! If you are looking for any last minute gifts, we have lots of nice goodies in stock, including some lovely products, good quality hairdryers and brushes to suit all hair types and styles. Why not buy a gift voucher? These can be redeemed any time up to a year after the purchase date. The perfect solution for anyone that is difficult to buy for – everyone needs a haircut at some point! There are just a few words to say to all of our clients past, present and future. We would like to express our gratitude to all of you. Thank you for your continued custom and we hope to see you very soon at 77 The Hill. On stage taking a bow!